When you need to increase a space at the end of a filet crochet row, you start the increase at the top of the last double crochet in the row just prior to the increase. Chain (ch) 2 to create the top of the first space. Yarn over the hook (yo) 4 times. 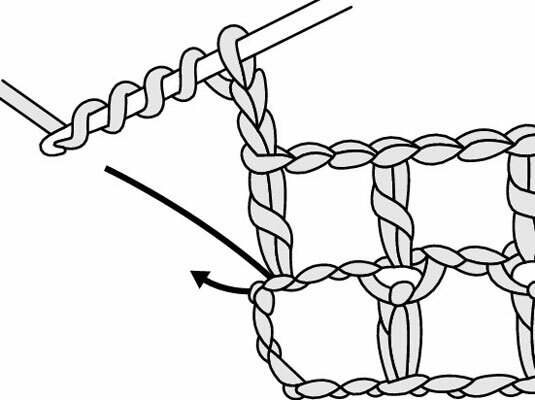 Insert your hook in the same stitch as the last double crochet (dc) stitch that you worked. Yarn over and draw the yarn through 2 loops on the hook. 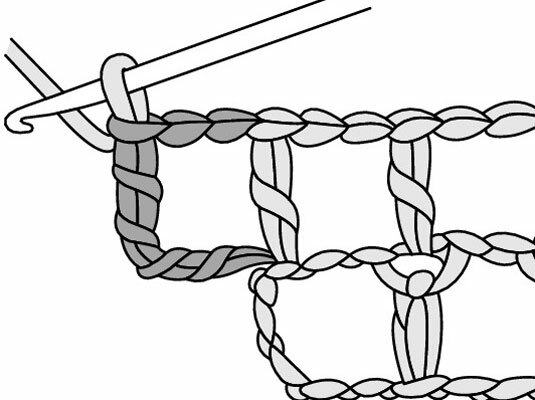 Repeat Step 5 three times until you have 1 loop on the hook, completing 1 triple triple (trtr) crochet. This completes one space increase. To increase more than one space at the end of a row, just repeat the steps for increasing one space. 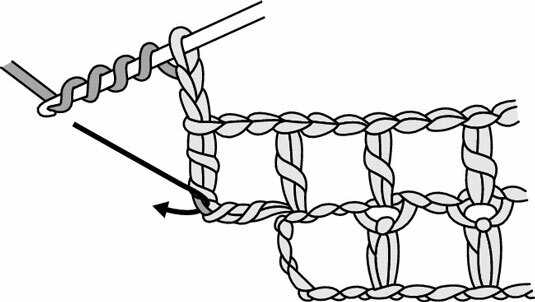 The only difference is that in Step 3, you insert the hook in the middle of the post of the triple triple (trtr) crochet that you made for the first space increase, as shown in this figure.